What does Lunar New Year mean? Lunar New Year is the observance of the start of a new year in a lunar or lunisolar calendar. The phrase is most often used to refer to a celebration held in China and worldwide by people of Chinese heritage, usually falling in late January or early February. Where does Lunar New Year come from? Lunar calendars consisting of 12 months, each month corresponding roughly to one cycle of the moon, have been used by several peoples throughout history, including many Asian cultures as well as Muslims and Jews. A number of different Lunar New Year festivals are held throughout the world. Because 12 lunar cycles do not fill a whole year, it is necessary to occasionally add an extra month. The Chinese calendar had adopted this custom as early as by 1600 b.c., and Jewish calendar followed suit by the eighth century a.d., creating what are known as lunisolar calendars. This avoids “seasonal creep,” keeping holidays in the same season, even if they may fall slightly later or earlier compared to a solar calendar. The Chinese calendar spread to Korea and then to Japan by the sixth century a.d., and was eventually adopted elsewhere in Asia. In the Chinese calendar, the new year begins on the second full moon after the Winter Solstice. In 1912, China’s Nationalist party officially moved the country to the Gregorian calendar, and renamed the Lunar New Year to the Spring Festival. In 1949, the Communist party forbade Lunar New Year celebrations. Spring Festival celebrations were permitted again in the 1980s, and by 1996, the Chinese government established a week-long vacation surrounding the Spring Festival. 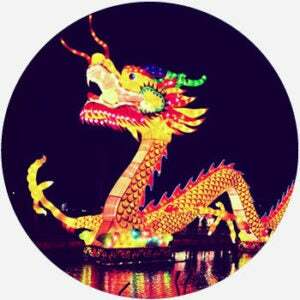 The Lunar New Year is celebrated as Tet by Vietnamese people and Seollal by Koreans. Visiting family, eating large meals of traditional foods, and parades are common Lunar New Year festivities across these cultures. Other customs can vary from culture to culture and place to place. Japan adopted the western Gregorian calendar in 1872, and now observes New Year’s Day on January 1. Still, many people of Chinese descent in Japan celebrate the Lunar New Year as well. Additionally, some people travel from China to Japan to celebrate the Lunar New Year. Korea followed Japan in officially adopting the Gregorian calendar in 1896, but continues to celebrate the Lunar New Year. Many predominantly Buddhist countries in Southeast Asia, including Cambodia, Laos, Myanmar, Sri Lanka, and Thailand use lunisolar calendars, but base their New Year’s celebrations on the sun’s transition from the constellation Pisces in the west into Aries. These celebrations fall in mid-April in the Gregorian calendar and may include purification rituals and playfully splashing others with water among other activities. Losar is a Lunar New Year festival observed in Tibet and Bhutan. It falls in February or March and includes dances and the decoration of monasteries. Asian people around the world may also celebrate their respective Lunar New Year wherever they are. London claims to have the largest such celebration outside Asia and San Francisco’s Chinese New Year parade claims to be the largest Asian cultural event in North America. The Islamic liturgical calendar is strictly lunar, meaning that Al-Hijra, the Islamic New Year, can fall in different seasons across the years. Al-Hijra commemorates Muhammad’s journey from Mecca to Medina, but the date is not marked by large public celebrations. Usually falling in September or October, Rosh Hashanah is the start of the year in the lunisolar Hebrew calendar. It means “the head of the year,” and is observed with traditional meals, prayers, and the blowing of a ram’s horn known as the shofar.